58.com Inc (NYSE:WUBA) investors should pay attention to a decrease in hedge fund sentiment lately. WUBA was in 23 hedge funds’ portfolios at the end of the fourth quarter of 2018. 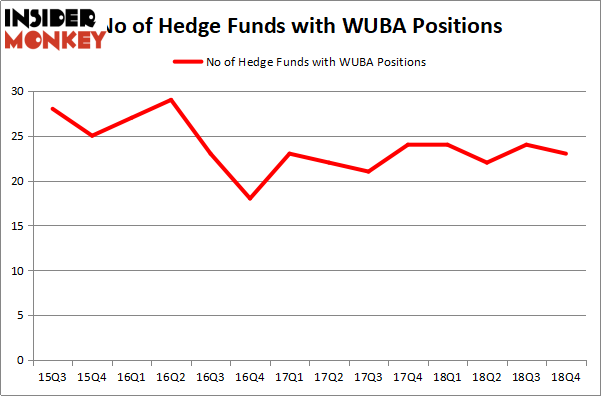 There were 24 hedge funds in our database with WUBA positions at the end of the previous quarter. Our calculations also showed that WUBA isn’t among the 30 most popular stocks among hedge funds. We’re going to check out the key hedge fund action encompassing 58.com Inc (NYSE:WUBA). 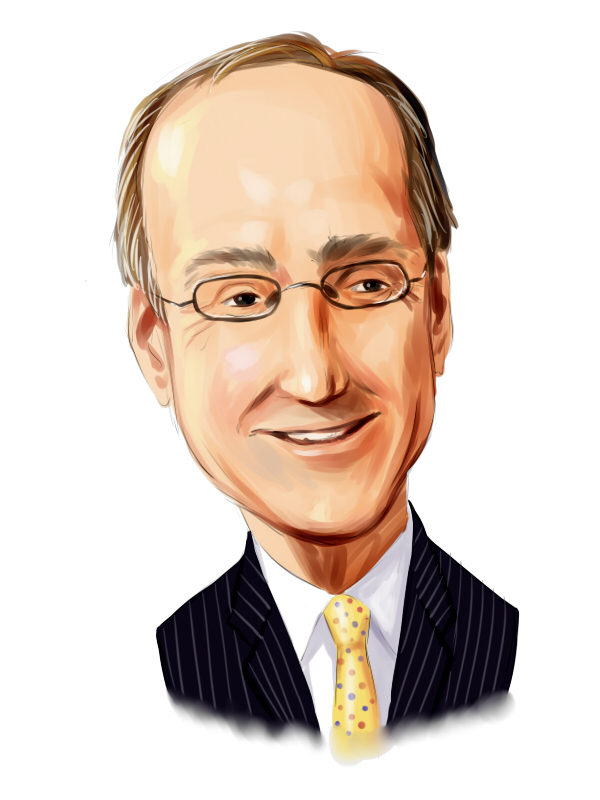 How are hedge funds trading 58.com Inc (NYSE:WUBA)? At the end of the fourth quarter, a total of 23 of the hedge funds tracked by Insider Monkey were bullish on this stock, a change of -4% from the second quarter of 2018. By comparison, 24 hedge funds held shares or bullish call options in WUBA a year ago. So, let’s review which hedge funds were among the top holders of the stock and which hedge funds were making big moves. More specifically, Platinum Asset Management was the largest shareholder of 58.com Inc (NYSE:WUBA), with a stake worth $77.8 million reported as of the end of September. Trailing Platinum Asset Management was Lakewood Capital Management, which amassed a stake valued at $72.4 million. GMT Capital, First Pacific Advisors LLC, and Citadel Investment Group were also very fond of the stock, giving the stock large weights in their portfolios. Because 58.com Inc (NYSE:WUBA) has experienced declining sentiment from hedge fund managers, it’s easy to see that there lies a certain “tier” of money managers that slashed their full holdings last quarter. Interestingly, Lei Zhang’s Hillhouse Capital Management sold off the largest stake of all the hedgies watched by Insider Monkey, comprising an estimated $194.2 million in stock, and Philip Hempleman’s Ardsley Partners was right behind this move, as the fund cut about $1.1 million worth. These transactions are important to note, as aggregate hedge fund interest fell by 1 funds last quarter. Let’s go over hedge fund activity in other stocks – not necessarily in the same industry as 58.com Inc (NYSE:WUBA) but similarly valued. These stocks are Andeavor Logistics LP (NYSE:ANDX), Athene Holding Ltd. (NYSE:ATH), MarketAxess Holdings Inc. (NASDAQ:MKTX), and Interpublic Group of Companies Inc (NYSE:IPG). This group of stocks’ market values resemble WUBA’s market value. As you can see these stocks had an average of 23.75 hedge funds with bullish positions and the average amount invested in these stocks was $553 million. That figure was $432 million in WUBA’s case. Athene Holding Ltd. (NYSE:ATH) is the most popular stock in this table. On the other hand Andeavor Logistics LP (NYSE:ANDX) is the least popular one with only 6 bullish hedge fund positions. 58.com Inc (NYSE:WUBA) is not the least popular stock in this group but hedge fund interest is still below average. This is a slightly negative signal and we’d rather spend our time researching stocks that hedge funds are piling on. Our calculations showed that top 15 most popular stocks among hedge funds returned 21.3% through April 8th and outperformed the S&P 500 ETF (SPY) by more than 5 percentage points. A handful of hedge funds were also right about betting on WUBA as the stock returned 31.1% and outperformed the market as well.